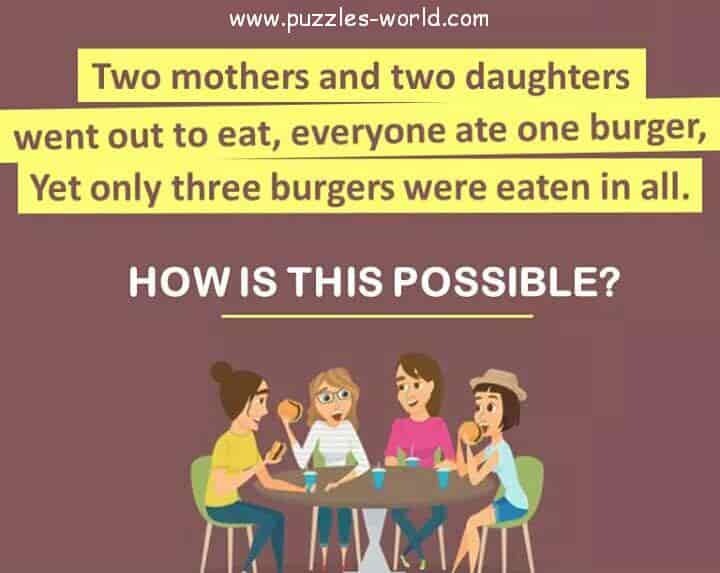 Yet only three burgers were eatin in all. There are only 3 persons in total. Hence 2 mothers and 2 daughers.